BUT you will appreciate that in order for the exhibition to get the appropriate funding some concessions needed to be made towards the whole SG5o business. Whatever it was called, the fact remains that the funding has allowed the organisers to put together a fitting tribute to Singapore rock, such as it is. Well, this is Singapore so the ends will justify the means. In any case, the exhibition opens tomorrow (8th April) at the Substation Theatre with three S-ROCK bands viz. 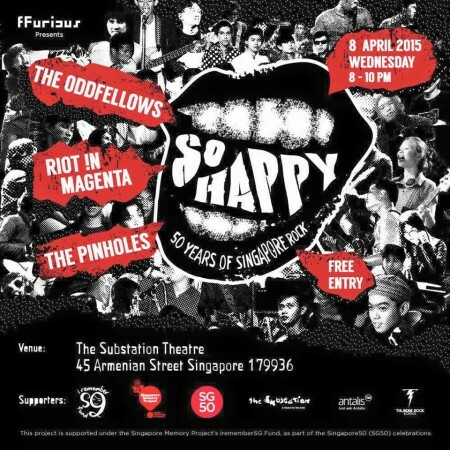 The Oddfellows, THE PINHOLES and Riot !n Magenta performing from 8pm. Continuing our series on bands you should really check out next week at Music Matters Live ’14. 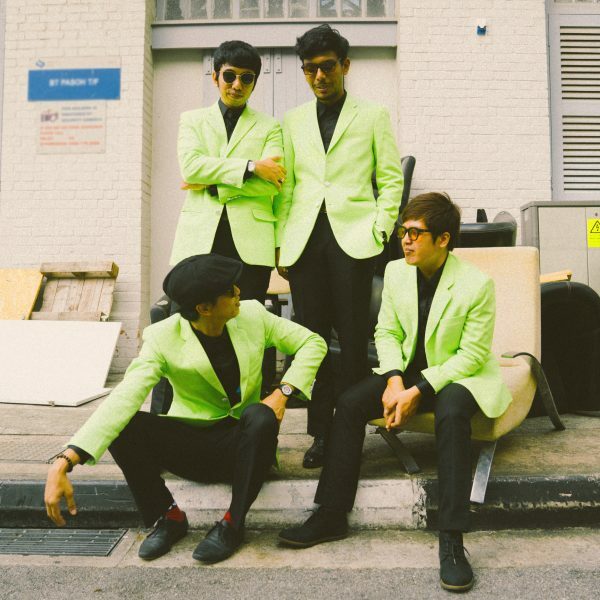 Ladies and gentlemen… The Pinholes! Since Music Matters Live is being held in Singapore, I will take the opportunity to showcase my group and represent my country to another audience or music moguls that will come from all over the world. It feels like the best time. How do you think playing at the Festival will help you? I guess playing in this Music Festival definitely bring connectivity. I will try and make as much contact as I can. As I think that this is really important cause you will never know who you will meet. What are your scheduled slots at MML’14? We will be playing on one date which is on 21 May at Paulaner from 9.40pm to 10.10.10pm. This is due to our short tour to Hanoi for another ASEAN Pride Festival the following day. How are you preparing for MML’14? We are definitely putting our best of what we can do. We just released our debut album and we are really excited to showcase that to a different audience. And we will try and give our best half n hour show like there’s no tomorrow. Its gonna be just Wham Bam no commercial set. Why should music lovers come and watch you at MML’14? Its a music festival, We are all about good vibes, songs and rock n roll. And the chain reaction will be perfect if the music lover are there to have a good time. Thanks to Famie for the answers!